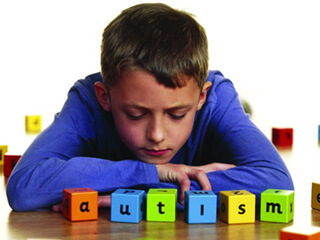 Autism is a brain disorder that often makes it hard for one to communicate and relate to other human beings. The condition makes it difficult for the different parts of the brain to work in sync with each other. Currently, Autism spectrum disorder includes conditions that were previously called Pervasive Developmental Disorder, Asperger’s Syndrome and Autism. The term Spectrum refers to a wide range of levels of impairment, skills and symptoms. While ASD only mildly impairs some, many sufferers of the condition are severely disabled. Scientists still haven’t got to the bottom of it, but research points to genes and the environment as possible causes. It has been observed in identical twins that if one has ASD, then 9/10 times, the other sibling has it too. In the case of non-twins, if one sibling has ASD, the other is 35 times more likely to get it that usual. Perhaps this has got a lot to do with their genes being the same. On the other hand, it has also been observed that most people who develop ASD have no family history of it.. This actually suggests the possibility of gene mutations – they can be inherited, but some just occur for no obvious reason. Mutations can actually be harmful, helpful or even have no effect. These factors would be everything around us – the food we eat, the air we breathe, the water we drink and everything else that hits the body. The environment also includes the mother’s womb, where the mother’s health can directly affect the earliest stages of brain development. Please do feel free to get in touch with us if you have any queries regarding Autism Spectrum Disorder or if you are seeking treatment for it. Autism is handled at Plexus.